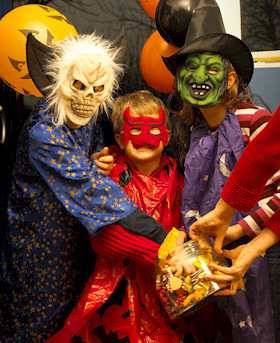 Christian Living > Should Christians Celebrate or Observe Halloween? 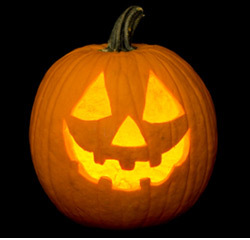 Should Christians Celebrate or Observe Halloween? Every since I became a Christian in 1988, I have loathed the Halloween holiday. While I love some horror movies, a good haunted house and even monsters, gouls and ghosts in general, something about celebrating a holiday that is steeped in pagan rites and rituals just doesn’t sit right with me as a follower of Christ. So the question of whether to celebrate or even observe a holiday that in the United States has become the second most popular holiday next to Christmas can be a difficult one to deal with. What about the Christian reading this? Do you celebrate or not? If not actually celebrating, do you participate and if so to what degree? Before we answer these questions, let’s take a look at where Halloween came from in the first place. Halloween has its origins in the ancient Celtic festival known as Samhain. The festival of Samhain is a celebration of the end of the harvest season in Gaelic culture, and is sometimes regarded as the “Celtic New Year”. Traditionally, the festival was a time used by the ancient pagans to take stock of supplies and slaughter livestock for winter stores. The ancient Gaels believed that on October 31, now known as Halloween, the boundary between the alive and the deceased dissolved, and the dead become dangerous for the living by causing problems such as sickness or damaged crops. The festivals would frequently involve bonfires, into which bones of slaughtered livestock were thrown. Costumes and masks were also worn at the festivals in an attempt to mimic the evil spirits or placate them. Believe it or not, most of our Halloween practices can be traced back to these old pagan rites and superstitions. As for the name “Halloween” it is shortened from All Hallows’ Even (both “even” and “eve” are abbreviations of “evening”, but “Halloween” gets its “n” from “even”) as it is the eve of “All Hallows’ Day”, which is now also known as All Saints’ Day. It was a day of religious festivities in various northern European Pagan traditions, until Popes Gregory III and Gregory IV moved the old Christian feast of All Saints’ Day from May 13 (which had itself been the date of a pagan holiday, the Feast of the Lemures) to November 1. In the ninth century, the Church measured the day as starting at sunset, in accordance with the Florentine calendar. Although All Saints’ Day is now considered to occur one day after Halloween, the two holidays were, at that time, celebrated on the same day. Liturgically, the Church traditionally celebrated that day as the Vigil of All Saints, and, until 1970, a day of fasting as well. Like other vigils, it was celebrated on the previous day if it fell on a Sunday, although secular celebrations of the holiday remained on the 31st. The Vigil was suppressed in 1955, but was later restored in the post-Vatican II calendar. Now one might argue that the Halloween we celebrate today, at least in the United States is nothing like the pagan rituals it was derived from but rather an innocent time of the year to dress up in costumes, trick-or-treat, host or attend Halloween parties, visit haunted houses and mazes, watch horror flicks and otherwise enjoy the dark side of humanity including ghosts, witches, gouls, monsters and demons. And while that may sound innocent enough and non-seroius to most, Halloween is a very sacred holiday to others. For example, those who follow the Wicca religion consider Halloween to be one of eight holy days they observe throughout the year. 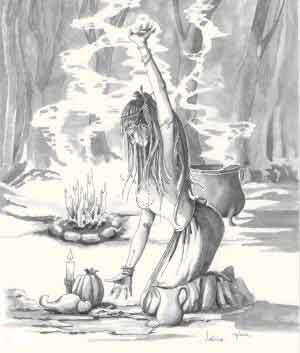 “Halloween, plain and simple is our favorite time of year,” writes one follower of Wicca on witchway.net. In fact they feel it is a true time for witches, Witchcraft itself, and Wiccans alike who feel that on this night the separation between the physical and spiritual realities is it’s least guarded and it’s veil the thinnest. So if we know that Halloween is derived from anchient pagan rites and rituals and that at least two very non-Christian groups consider Halloween a sacred and holy day, should we as Christians celebrate it? If we do celebrate it, does that not violate 1Thessalonians 5:22 where it says, “Abstain from all appearance of evil” or even the common knowledge that to follow Christ is to be like Him and not live our lives in a paganistic fashion? One would argue, “What about Christmas? That is a holiday derived from paganism as well,” to which I’d answer that I have my reservations about that holiday as well – Christ was not born on December 25th or even in the winter and the commercialism of Christmas with its Santa Clauses, elves, snowmen, reindeer, gift-giving and the like have nothing to do with the birth of the Son of God. But that is an entirely other post. So what should a Christian do? I leave you to your own convictions but I choose certainly not to celebrate it and only to participate in it as little as I have to meaning, I give candy to trick-or-treaters. And that is mostly because I don’t want my house vandalized. Yes I have visited haunted houses and even have visited Knott’s Scary Farm (Knott’s Berry Farm when it is hounted in October of each yar) twice but I do not do these things in celebration of the holiday. It is simply that October is the time of year when these events are running. An alternative to celebrating Halloween would be to have a Octoberfest or Fall party where you gather with friends and family and celebrate with food and fun. And that does not have to be necessarily held on October3 1st either. Or do as I do and stay at home, hand out candy to the few trick-or-treaters that stop by and watch some good horror flicks (I say good because there are certain horrow flicks no Christian should watch). To celebrate the holiday to me is to contradict my faith and give praise to what is most definitely a darker side of humanity. I think we Christians today do enough of that already when we constantly fall prey to embracing the world around us as opposed to Christ. How about you? If you are a Christian, do you feel my convictions are just a bunch of nonsense, stooped in silly superstitions? Or do you agree and either resist celebrating the holiday or find alternatives? If you are not a Christian, do you think Christians should celebrate this holiday? I’d love to hear some various opinions and may I remind you that what I have written here are my own convictions. I do not force them on anyone but only ask if you are a follower of Christ, to prayfully consider the facts that surround this holiday.